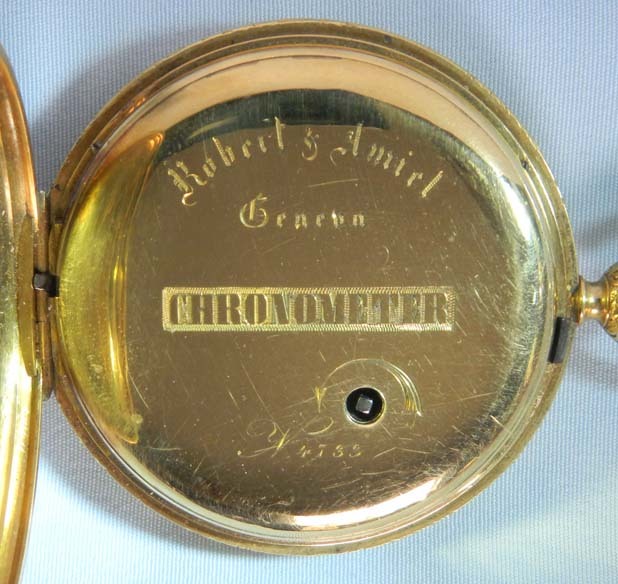 Fine English 18K gold spring detent chronometer antique pocket watch made for Robert and Amiel circa 1840. 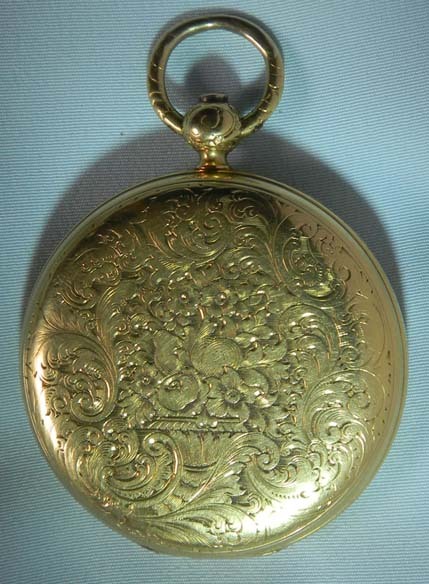 Heavy beautifully engraved case with both covers spring hinged. 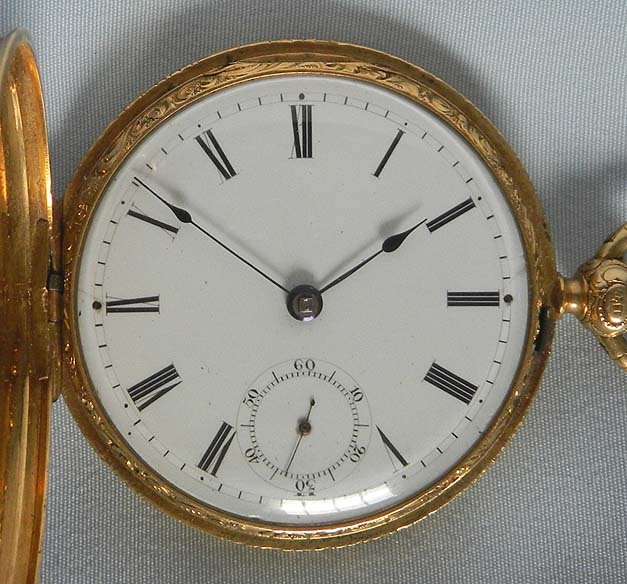 White enamel dial with black makings and blued steel hands. 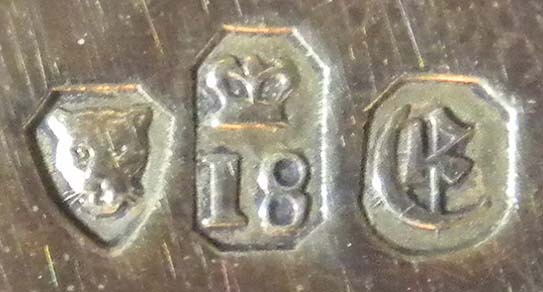 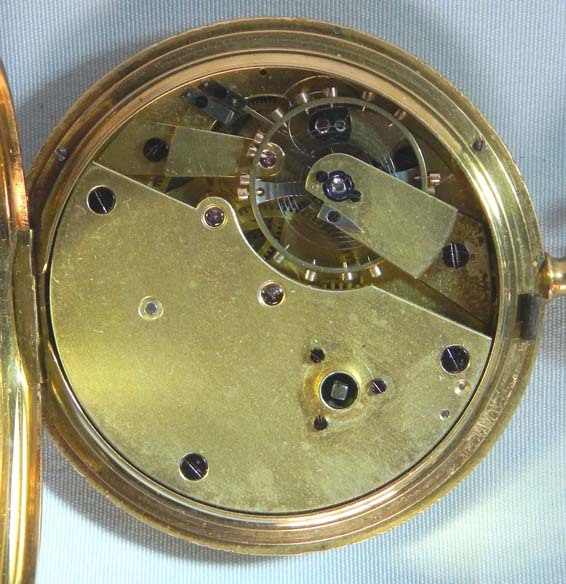 Minor hairlines and chips at the dial screws at III and IX, mostly covered by the bezel. 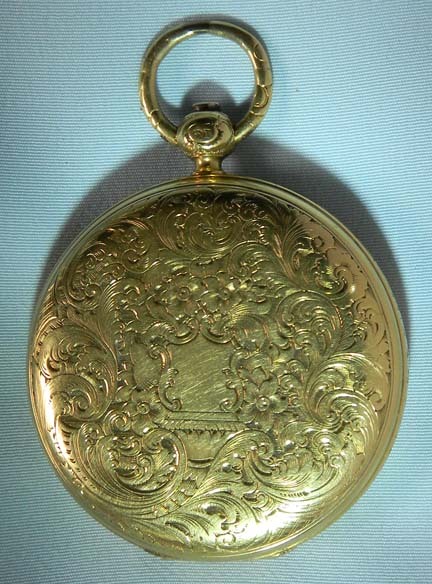 Fine gilt freesprung 3/4 plate movement with diamond cap jewel.